Topic: preliminary results of development of territories of priority development and Vladivostok free port. - What are the preliminary results of the development of territories of priority development? - At present, we can say, that “Mikhailovsky”, “Nadezhdinsky” and “Bolshoy Kamen” priority development areas are being actively developed. Not long ago, it was decided to create “Neftekhimicheskiy” (Petrochemical) priority development area. It will allow to create a large Eastern Petrochemical Complex. If we talk about practical results, “Mikhailovsky” priority development area is the leader now. Two powerful enterprises, Mercy Trade and RusAgro - Primorye, were established on its territory. As for the “Bolshoy Kamen” priority development area, the first stage of the plant construction has been finished already. At present, the first products are already being produced while the construction of the shipyard itself is being carried out. These are not ships yet, but this production will bring money to the enterprise, taxes to the budget and jobs to people. “Euro Plast” company actively operates in “Nadezhdinsky” priority development area , produces products and pays taxes. Present results are not that great, but already rather significant. - What residents are going to enter “Neftekhimicheskiy” (Petrochemical) priority development area? - Declared rated processing capacity will be about 30 million tons of oil. The main resident of this priority development area is the Eastern Petrochemical Company. The cost of this project is about 600 billion rubles. The project documentation is ready and is under expertise. In addition to the Petrochemical plant itself, infrastructure, such as roads, power lines, social facilities, residential estate and so on will also be built. In addition to the main resident, investors from Poland and Italy are already interested in “Neftekhimicheskiy” priority development area. - Are there enough preferences to attract investments to priority development areas? - At present, we receive lots of applications for the residentship in priority development areas of Primorsky region. Speaking about preferences, from my point of view, these preferences are very serious: zeroed-out income tax and property tax for the first five years. Halved income tax and property tax for the next five years. And even more significant preference is the preference for payments to the off-budget fund, because 7.5% is a much more competitive rate than the standard payment. - What about present infrastructure condition in priority development areas? - Infrastructure of priority development areas is being actively developed. A lot of construction activities are being conducted in “Mikhailovsky” and “Nadezhdinsky” priority development areas, roads and pipelines are being actively constructed here. And Corporation for Development of Far East is responsible for organization of infrastructure in “Bolshoi Kamen” priority development area. An active phase of infrastructure construction in three priority development areas will be completed within this year. 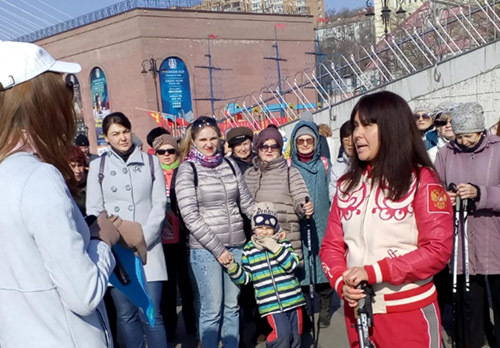 - How many residents have already entered Vladivostok Free Port and what is the situation with the development of this project? - We have received 235 applications for the residentship in Vladivostok free port and 122 of them have already been approved. All the resident enterprises are at different levels of development, but they all get benefits and pay taxes. Next year we expect to see first effect of the functioning of free port regime. - What countries show interest in the regime of Vladivostok free port? - Entrepreneurs from China show the most active interest. They are interested in the sphere of seafood, housing construction and minerals mining. Korean investors are interested in the sphere of high technologies. Japanese companies are into transport and logistics projects. -What is the benefit of a simplified visa regime? - A simplified visa regime should come into force on 1st of July. Of course, the ability to quickly get visa and enter the country is very important for the investors. This will definitely give an additional impetus to both existing and new residents of priority development areas and Free Port. 26.08.2016 "New economy of Primorsky region." Vladivostok is preparing for the 2nd East Economic Forum.